When it is dark we switch the lights on without a thought about the electricity we use. 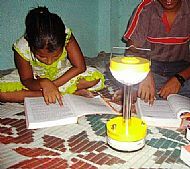 It is estimated that over one third of India’s rural population do not have electricity. Tens of thousands of Indian villages are not connected to the country's power grid or have no access to uninterrupted power supply. Many who are born in these poor villages usually live most of their lives without electricity. "The village I was born in had no electricity. I moved to this village after my marriage - and there was none here either." "I've heard that some people have electricity but I've never experienced it, so I don't even know what it's used for,"
Mr Akhtar, a farmer, is a rural resident without access to reliable electricity. “We get electricity sometimes for half an hour, sometimes an hour, sometimes two weeks pass without electricity” he said. Our sponsored children come from the poorest of the poor and usually live in villages which do not have electricity.Those who live in villages that have some access to electricity come from families who simply cannot afford financially to have electricity connections to their huts. All these families are usually reliant on kerosene or oil as their source of fuel and lighting. Kerosene is expensive. It can be toxic. The majority of homes in rural India are poorly ventilated. Families exposed to harmful particles emitted by kerosene lamps suffer from health problems related to prolonged exposure to smoke and spent fuel. Accidents are common too. In rural India about 350,000 children suffer severe burns each year from upturned lamps. Huts can easily burn to the ground when lamps are accidentally knocked over. 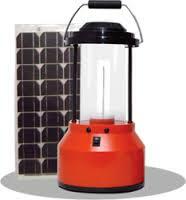 Kerosene and oil lamps are poor sources of illumination. 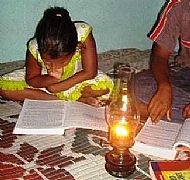 Children sit close to the lamps when studying, breathing in smoke and fumes which are toxic. 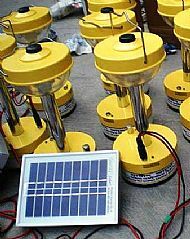 Solar LED lamps are many times brighter than kerosene or oil lamps as they produces nearly 200 times more useful white light. Each LED bulb last 23 years (12-hour daily use) so they are almost maintenance free. Additionally they are safe, clean and do not emit any toxic fumes.